If the start of your school day is as crazy as mine, I know how stressful it can be! Between parents who have questions, students who need immediate attention, or a call from the front office, it’s hard to split your attention in 5 different ways AND still be in charge of your class! That’s where Morning Work Tubs come in! Teach your students first thing in the morning to hang their backpacks, put their lunchbox away, and grab a morning tub! 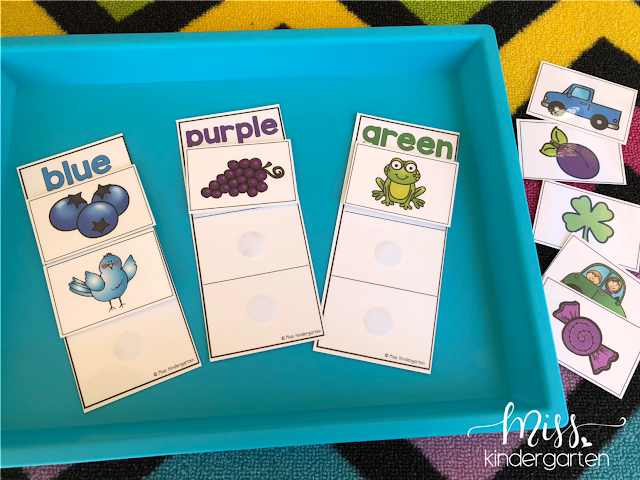 The management is up to you however, whether you want to assign partners to specific tubs or let your students choose. 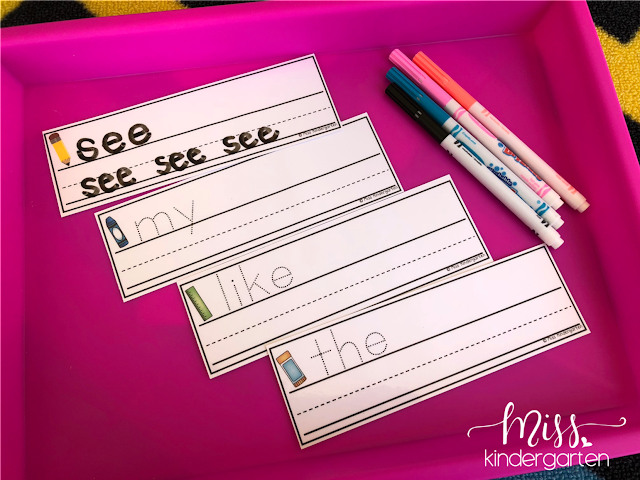 All the skills are perfect for beginning of the year kindergarteners and they can work on everything independently, giving you time to focus your attention on other needs! Setting up morning tubs. What do you need? I like to place all the materials for each activity in a tub or tray. The Target Dollar Spot always has fun colorful tubs or trays that work perfectly. I also print each activity on card stock paper so it is thicker and more durable. 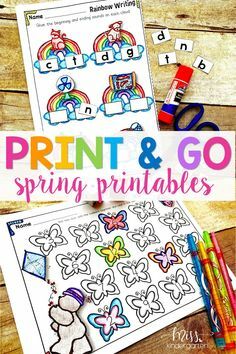 After that, you will also need to laminate the activities so they can be used over and over again. 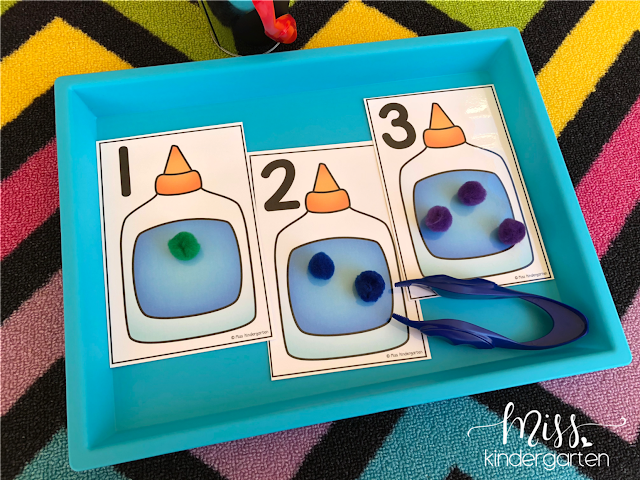 To make your morning work more hands-on and engaging, I created several tubs that incorporate manipulatives to make the learning fun! These items include things you most likely already have in your classroom for instance, or can be purchased pretty inexpensively. 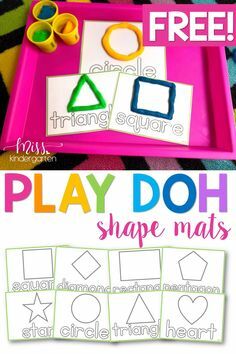 I like to incorporate dry-erase markers, colorful magnet letters, Velcro dots, pom-poms, play-doh, clothespins, pipe-cleaners, plastic buttons, plastic links, seasonal manipulatives, dice, dominoes, unifix cubes, and base-ten blocks! Let’s take a look at some of my favorite morning work tub ideas! For obvious reasons, name writing is a super important skill for your kinders, so we try anything to make it fun! This morning work tub is always a favorite! 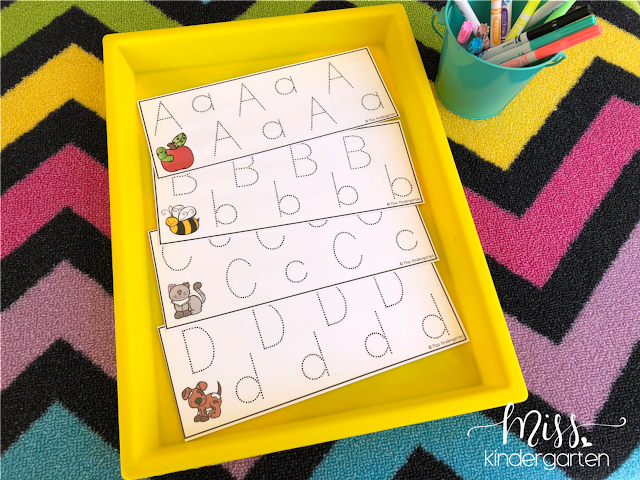 Have your students use a dry-erase marker to practice writing their names and their classmates’ names. I have an editable document that allows me to type each student’s name right onto the document to personalize for my class. 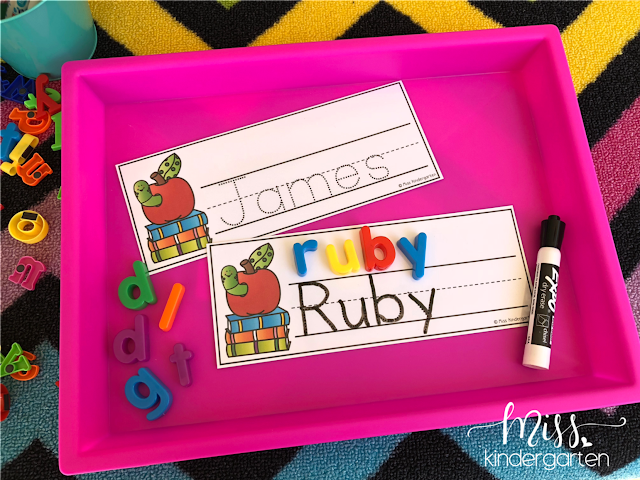 You can also have your students use magnet letters or other manipulatives to work on spelling their name as well! 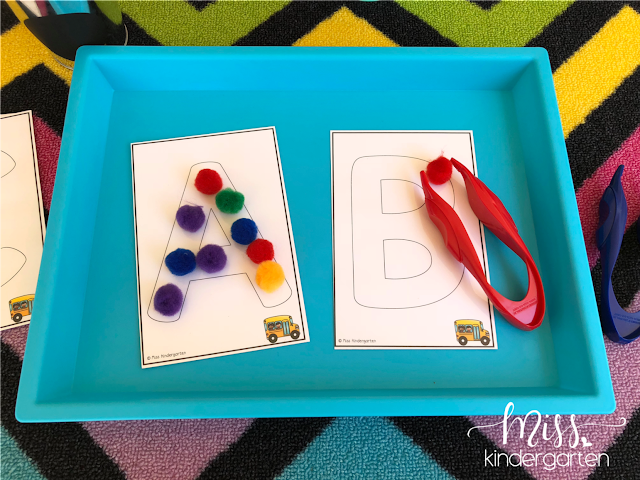 Have your students practice the alphabet while strengthening their fine motor muscles! 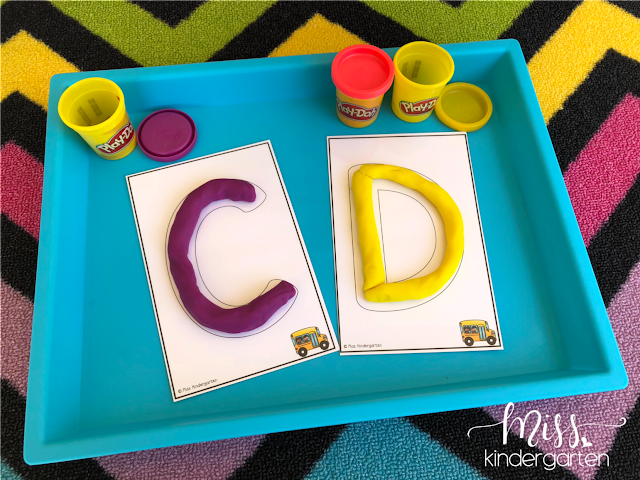 They can use mini pom-poms or play-doh to form each letter. I found these awesome plastic tweezers at the Dollar Tree, perfect for growing those teeny fine-motor finger muscles! 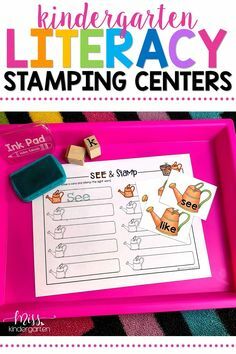 Another fun idea is to have your students practice writing the uppercase & lowercase letters with dry-erase markers. 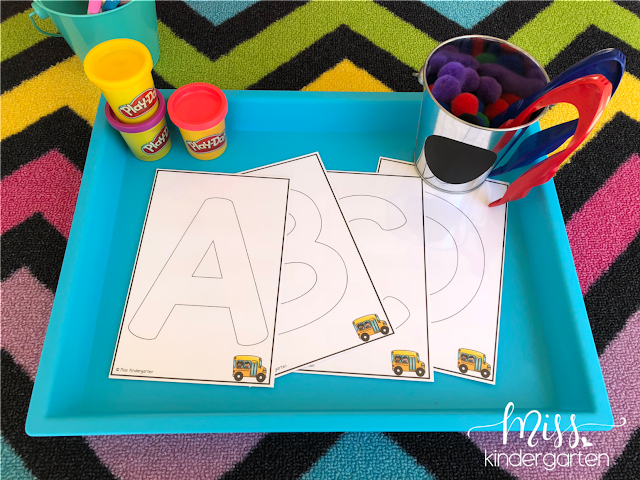 They can also use different colors to differentiate between the upper and lowercase letters. Tracing, building, and writing sight words is great morning work practice. The nice thing is, as your students learn more words, you can update and add to this tub as the year goes! 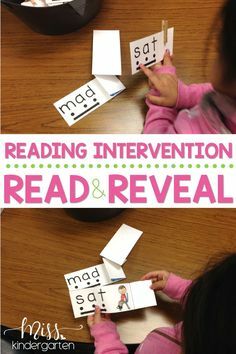 I also like to encourage my students to read the words to a friend which they love to do! Using clothespins is always fun and another great way to strengthen those fine motor skills. Have your students clip the number that correctly identifies how many syllables for each picture. 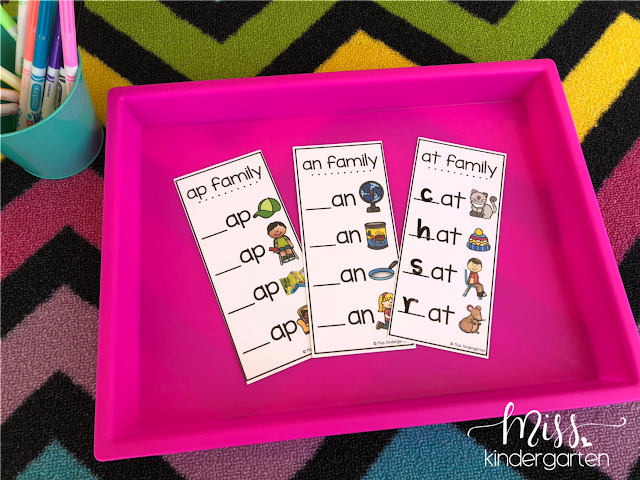 Using word family words, your students will work on identifying beginning sounds in words. 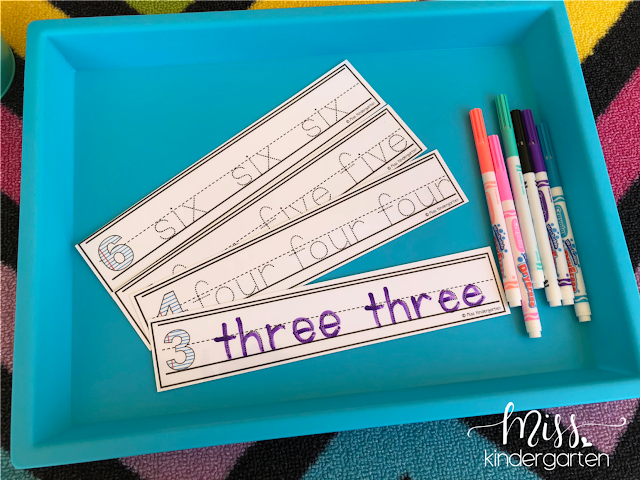 Using a dry-erase marker, your students will practice writing numbers 1-10 as well as writing number words. 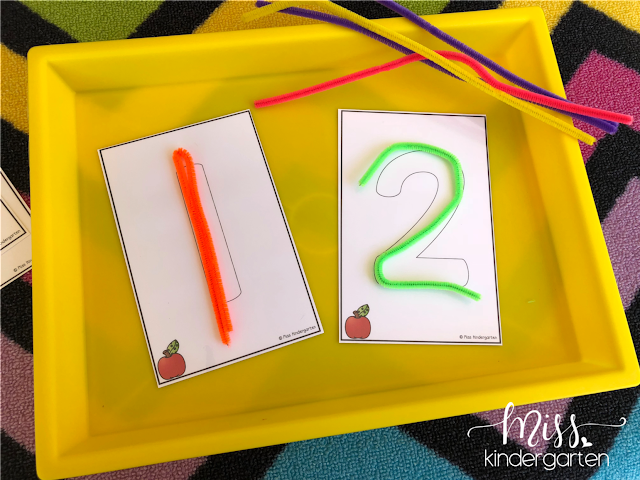 Have your students practice number formation using pipe cleaners, mini pom-poms, or play-doh. 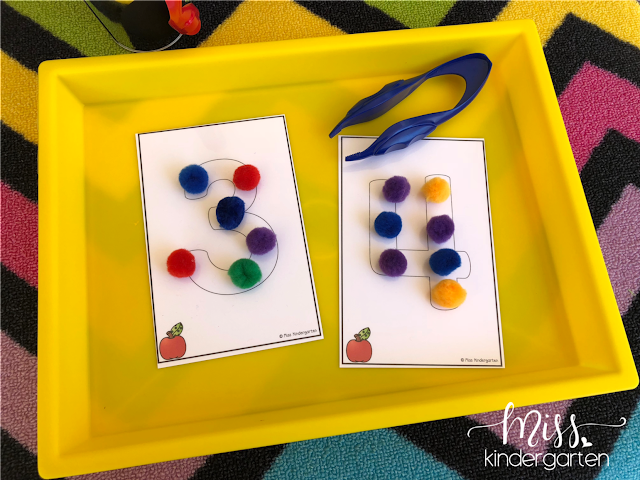 Use mini pom-poms to work on one-to-one correspondence. 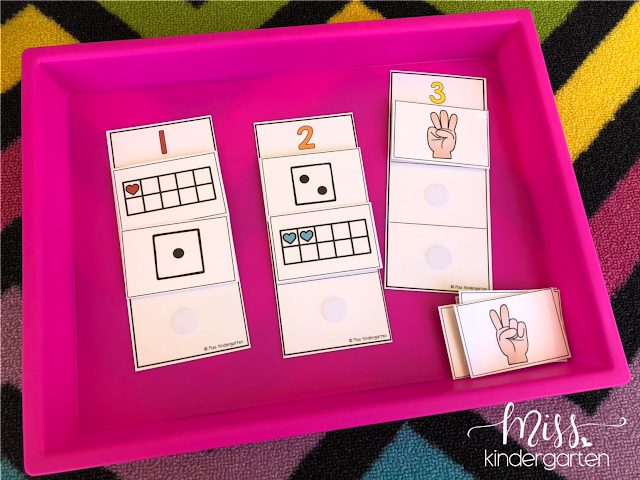 Identifying numbers in several ways, your students will match the picture cards onto the correct mat. Using seasonal erasers or manipulatives is always a hit! 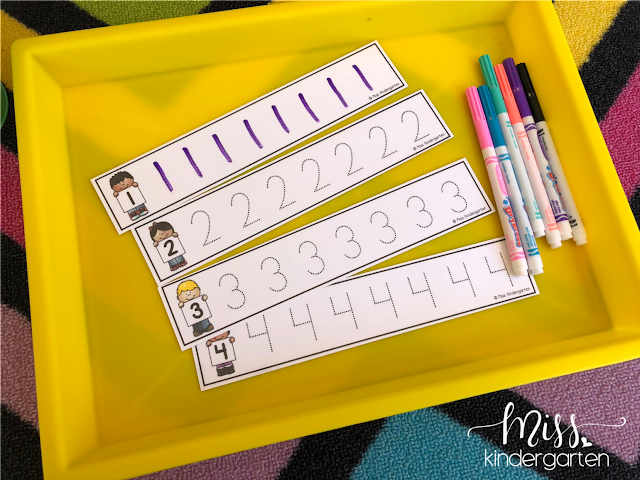 Have your students show teen numbers in a ten frame and practice writing the numbers with dry-erase marker. As the year progresses, so do your students’ needs! Make sure you are switching out your tubs periodically to keep up excitement and motivation. Morning Work Tubs for You! 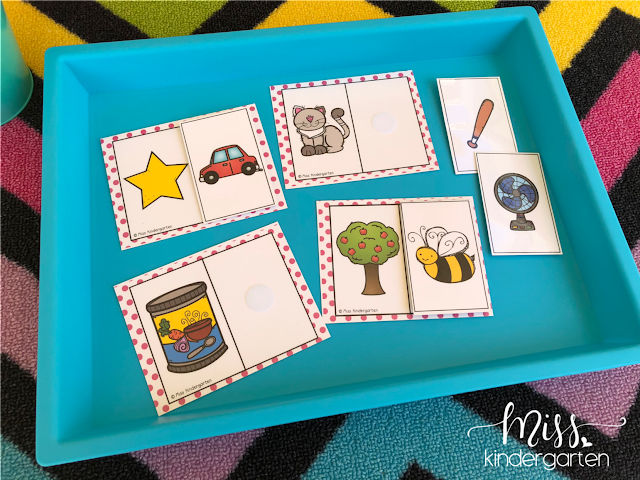 If you are interested in ready-to-go tubs for the ENTIRE year, check out my Morning Work Tubs Bundle! It currently includes tubs for the beginning & middle of the year. After I complete the end of the year tubs, they will be added to the bundle as well. You will have access to ALL of the morning work tubs without paying any additional fees! Check out my Morning Work Tubs in my shop below!